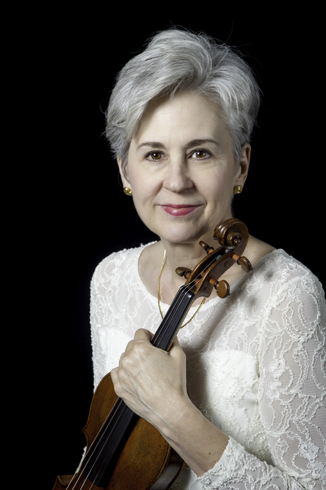 Violinist, NANCY BARGERSTOCK, received bachelor’s and master’s degrees in violin performance from the Juilliard School of Music in New York City, a soloist diploma in viola from the Orfeo Conservatory in Athens, Greece, and a doctorate in violin performance from the University of North Carolina at Greensboro. She has appeared across the US, in Europe, and in the Far East as a recitalist, soloist with orchestra, and chamber musician in many major concert venues and festivals. For thirteen years she lived and performed in Europe holding the assistant concertmaster position of the Athens State Orchestra, Greece, while teaching full time at Deree College of the American College of Greece. She toured most countries of Europe and the Middle East and was violinist in the Deree Piano Trios as well as first violinist in the Nakas String Quartet (Athens GR). For fifteen years, she toured the US, Bermuda, and Japan with the Brandenburg Ensemble under the eminent leadership of Alexander Schneider. She has recorded for Fabel Sound, Vanguard, Calavista and Lyra Records, for the Cypriot and Greek Radio and Television Networks. Many of her recordings have aired on National Public Radio and the popular Third Programme in Athens, Greece. Her orchestral experience includes contracts with the Bach Festival Orchestra (PA), New Jersey Symphony, Northeast Philharmonic Symphony Orchestra (PA), Athens State Symphony (Athens Greece), Deree Chamber Orchestra, the Brandenburg Ensemble (NYC), as well as substitute player in the Western Piedmont Symphony, the Symphony of the Mountains (TN), and the North Carolina Symphony Orchestra. 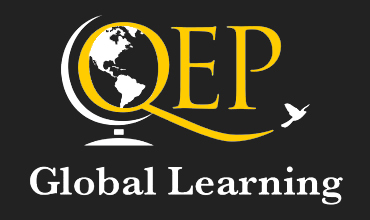 Bargerstock’s teaching experience includes positions at Muhlenberg and Moravian Colleges (PA), Deree College, and for the Greek Ministry of Culture at the Skalkottas, Attico, and Nakas Conservatories of Music in Athens, Greece. In 1999 she joined the faculty of the Hayes School of Music at Appalachian State University where she is Professor of Violin. In addition to applied violin instruction, she teaches string chamber music, pedagogy and literature, orchestral repertoire classes, and performs as a soloist and chamber musician. Highlighting her 17th year teaching in the UNC system Bargerstock was awarded the UNC Board of Governors Excellence in Teaching Award for 2015­-16. Her dedication to string teaching can be seen in her service to the American String Teachers Association [ASTA] on both the state and national levels. She was elected state president of North Carolina’s ASTA chapter (2006­-08), served as national chair of ASTA’s Committee on Studio Instruction (2012­-14), was Task Force chair of national ASTA’s Certificate of Advancement Program (2014­-15), and presently holds a state leadership role in charge of NC ASTA’s Certificate Advancement Program where she has been involved with training adjudicators and mentoring string teachers across the state. With more than 40 years of teaching experience, Bargerstock’s violin and viola students regularly achieve success in competitions and auditions. Many have won solo competitions, appearing as soloists with symphony orchestras both in the US and Europe. Many have successfully auditioned and were accepted to attend major music schools and into graduate programs, while others hold positions in professional orchestras, teach in private studios, in public schools and universities. Recently she has had two articles published in national string periodicals including, Strings Magazine (Summer 2012) Breaking Barriers and Embracing Brotherhood, an article on Bela Bartok's six string quartets, and in American String Teacher Journal (Fall 2014) ASTACAP Expands Options: Online evaluations to Serve Additional Students.